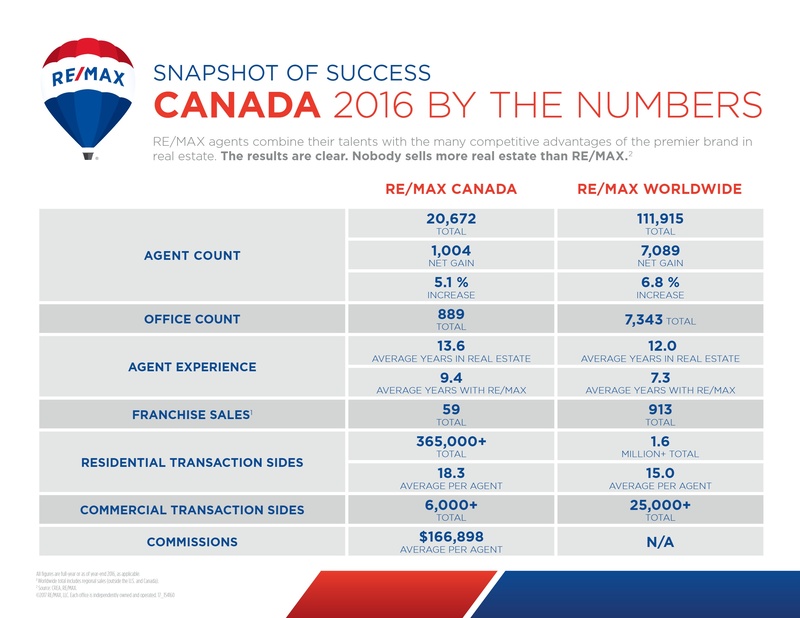 Last year was an amazing year for RE/MAX, do you know why that is? We do. It’s because our network is comprised of hard-working, dedicated entrepreneurs like you who are as passionate about providing their customers the best service with the best support and tools at their side! In honour of the success evidenced in 2016, we wanted to make sure you have the resources you need to help celebrate the success of the RE/MAX brand! We have brought to you a set of flyers that you can update your listing presentation with to show why consumers should go with those who know and choose a RE/MAX Agent! To access more refreshed brand resources, click the button below! To download the Snapshots of Success, click below! With these resources, you can share with your clients our global presence – which solidifies the most exposure for your listings and offers wider potential to capture buyers, and provides a glimpse of just how productive and vast reaching we are when communicating to customers. You can share this on your website, add it to your marketing, and share on social media. Whatever you think of, these materials are sure to help make you stand out! There’s a New Broker/Owner Opening in Rockland!